Environ’s vision has always been to make the best skin care in the world, through a philosophy of well researched, scientific skin care. The products are effective, proven and cost-effective. As a brand they value and perform extensive research and development to offer exceptional skin care products. These revolutionary skin treatments apply a combination of Iontophoreisis (electrical pulses) and Sonophoresis (sound waves) to drive vital skin vitamins A,C, E and beta-catotene into the skin. Penetration is increased by 40 times compared to simply massaging products in by hand. The treatment stimulates maximum thickening of the skin, helps to improve collagen & elastin levels to soften lines/scars, reduces uneven skin tone and increases hydration. 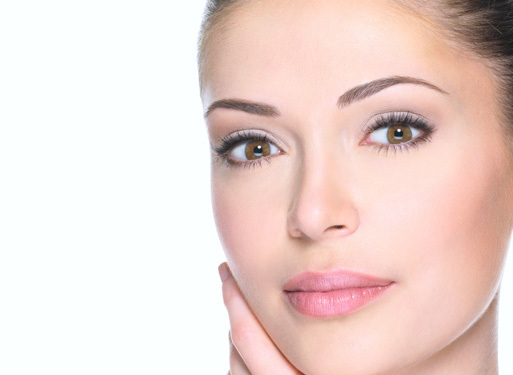 Each treatment is tailored to suit your skin and its needs. Please see the FAQ’s section for further information about the Environ Ionzyme Facials. There are no known long term side effects to Environ treatments. However, it is possible to have a reaction known as ‘a retinoid reaction’. This can happen when the skin has been depleted of its normal levels of Vitamin A for a period and its metabolic process has “wound down”, or the dosage of vitamin A is slightly too much for your skin at this particular time. You may experience slight dryness, flaking and in the worst-cases small reddish pimples that may itch. These reactions are perfectly normal and can be controlled, so it’s best to seek advice from your Environ specialist if you are at all concerned. Remember, not everybody will experience these problems; however, you should be aware it is possible and can be controlled with expert advice. More commonly, it has been known for a few breakouts to occur following an Environ treatment/use of environ products. Once again this is due to the skin acclimatising to the active ingredient Vitamin A and will usually settle within a few weeks. Please note: Approximately every 8 weeks a member of the ‘iiaa’ (International Intiute of Anti Aging) visits Bodilight to hold a ‘Skin Analysis event’. Appointments last one hour consisting of a 30 minute thorough skin assessment using Visia technology, followed by a 30 minute Environ taster treatment. Those who attend will get expert advice and a prescribed homecare regime. Discounts on products and/or treatments are usually available on the day. Please register your interest with our reception staff if you would like to attend one of these events and we will contact you with the up and coming dates available. Appointments will be subject to a £20, redeemable against treatment or products purchased on the day.